Another day, another conspiratorial crime. In this case, the public was witness to yet another known wolf terror attack allegedly carried out by an ‘ISIS-inspired’ individual who, as with numerous other cases, was under the gaze of MI5. 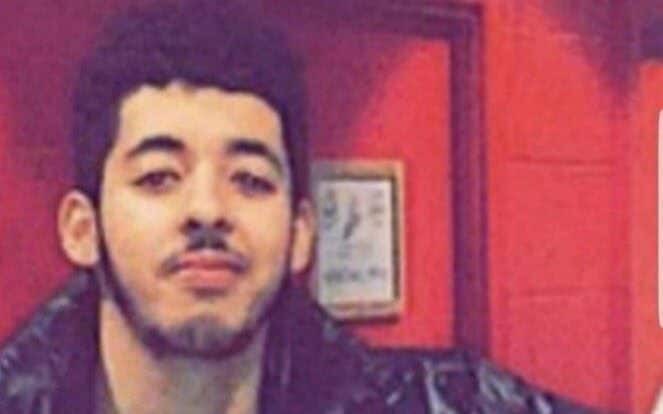 The man named in the Manchester attack, Salman Abedi, has also been tied to a terror group supported by NATO in Libya during the operation to oust Muammar el-Qaddafi in 2011. QUESTION: Is the Manchester attack simply blowback from security operations gone awry – or is it more likely that this latest terror event provides further evidence of complicity on behalf of West in the ‘War On Terror’ era? Though many are still unsettled in the wake of the Manchester arena bombing – key questions have emerged following this latest act of terror in the West. NOTE: It’s hard not to ignore the political circumstances and timing surrounding the apparent tragedy in Manchester, as it arrived on the heels of a monolithic arms deals with Saudi Arabia worth $110 billion dollars that will total $350 billion over the next 10 years. The questionable arms deal has also dovetailed US aspirations for an ‘Arab NATO‘ headquartered in Saudi Arabia, the largest state-sponsor of terror in the world. Additionally, rather conveniently over the past week, al-Qaeda affiliate Jabhat al-Nusra aka al-Nusra Front, officially changed their operational name (now dubbed Hay’at Tahrir al-Sham or HTS) to secure its removal from terror watchlists within the US and Canada. It’s also worth mentioning again, as previously outlined by 21WIRE, the Manchester Arena attack appeared to have been ‘uncannily timed’ as it coincided on the same day as the OSCE-wide Counter-Terrorism Conference 2017 in Vienna, Austria. In what is a clear military ramp up following the Manchester attack, there have been US-led coalition airstrikes supposedly targeting ISIS in both Syria and Iraq that have killed 121 civilians in the process. The strikes have led to increasing tension that will also place external pressure the Russian-led Astana Peace Agreement in Syria, while continuing to benefit the strategic movements of ISIS in Syria, as recently described in detail by 21WIRE. 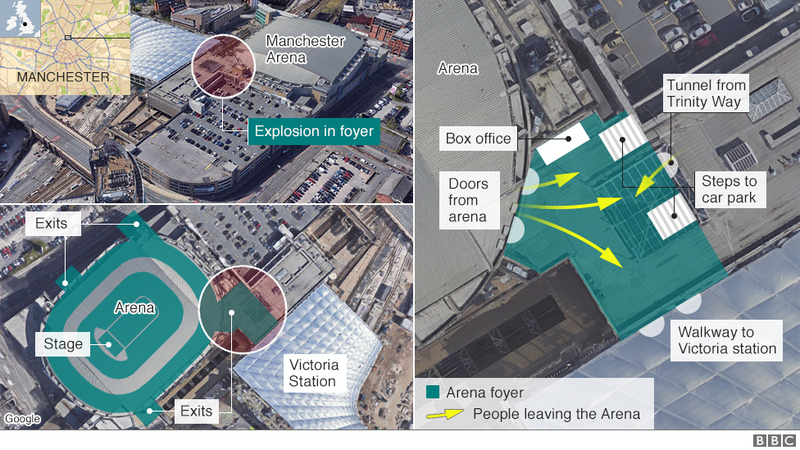 Sometime after the first wave of reports, the official story then reflected that an explosion took place inside the foyer of the Manchester Arena. By 11:15pm roads were closed around the area, while security shutdown and evacuated London’s Victoria train station. Keep in mind, all of this happened within 25 minutes of the initial terror event. This was followed at 12:43 pm where some 60 ambulances responded according to the North West Ambulance Service NHS Trust, transporting the injured to the Manchester’s Royal Infirmary Accident & Emergency Department. This case has also seen its share of eyewitness testimony that conflicts with details from the official story, as one mother, Emma Johnson, was at the top of the foyer protected by glass waiting for her young daughters noticed a suspicious man with “risen bits” under his clothing and as the alleged perpetrator also wore a “bright red top in the crowd with a grey panel down the front,” according to her statement. What transpired after the US leaks of the Manchester terror incident appeared to muddy the narrative, as the story quickly changed from lone wolf status to that of a ‘larger network’ while the bomber was seen on CCTV with dark clothing, not matching the description above. Also interestingly, like so many other major terror incidents, as pointed out by recently by Prof Michel Chossudovsky, was the discovery of the purported terrorist’s ID on his dead body. Since 9/11 this phenomenon has been going on with regularity, specifically with high-profile terror acts in the West. It’s as if terror criminals can’t leave home without a license or passport prior to committing an atrocity – a curiosity that only lends to questions of staging. Another concern about the events surrounding Manchester, were the reports that the bomb was “…one the most sophisticated set off in Britain since attacks by the IRA.” In fact, it had a ‘remote detonator’ which is simply explained away as if the attacker was unaware of the feature. That may be, but a good point to make is that the bomber did not have to be at the scene upon detonation. This information for some is explained away because of an attacker’s radical religious views, however, as we’ve seen before during other events, some apparent terrorist’s are found not to strictly adhere to those views even around the time of an attack. This was evident prior to 9/11 and in the aftermath of 2013’s Boston bombing. “In total, our clinicians treated and took 59 patients to hospital – 9 to Manchester Royal Infirmary, 6 to Salford, 6 to Wythenshawe, 12 to Manchester Children’s, 6 to Stepping Hill, 8 to Royal Bolton, 7 to Royal Oldham and 5 to North Manchester. All told, 22 were said to have died with 116 injured, after the man named in the suicide bombing, 22 year-old Salman Abedi, allegedly detonated a bomb in the foyer of Manchester Arena. COMMENT: If the above report is true, one should question the very nature of the attack itself, because it would be highly unlikely that fire rescue teams would be told hold back if there was a legitimate explosion in a building full of civilians. Not only would this be a ‘failure of leadership’ it would surely be an obstruction of public safety – would it not? Almost immediately in the aftermath Manchester attack, UK Prime Minister Theresa May sought to raise the terror threat level from severe to critical, the first such instance since London’s 7/7 bombings. The controversial PM claimed that more attacks could be ‘imminent’ which led to the sudden announcement that thousands of soldiers would be patrolling the streets in an effort to quell a potential attack while also piggy-backing ‘Operation Temperer’ and its counter terror duties. This has subsequently also led growing concerns of what appeared to be a form of martial law in the UK. In predictable fashion, the military-style patrols ushered in following the Manchester attack, seemed to echo the response following the highly theatrical ‘three days of terror’ the public saw during the Paris attacks of 2015. Western allied nations along with the GCC have all been culpable in the rise of ‘Islamic’ terrorist groups and incidents, as they are in fact engineers of them. One of the main architects prior to the War On Terror era, is the recently deceased former NSA head, Zbigniew Brzezinski who developed Osama bin Laden as a US intelligence asset and built the al Qaeda network alongside the CIA in Afghanistan against then Soviet Russia. After reviewing the available evidence, the Manchester attack in scope, also looks similar to other controversial terror atrocities, including aspects of the Brussels airport bombing, the Istanbul airport bombing, the November 2015 Paris attacks and elements surrounding the highly suspicious London attack in March of 2017. QUESTION: Is the Manchester Arena bombing another questionable Western attack that will likely increase calls for a NATO-sponsored intervention in Syria? If so, ask yourself – who benefits the most from yet another terror attack on Western soil? One major UK Government fallout after the Manchester attacks was the revelation that a community of ‘outlawed’ Libyan Islamic Fighting Group (LIFG) terrorists were in fact living in close proximity to the Manchester attacker Abedi. This is truly a deeply troubling development for a public unaware of the nearby danger, as British security services and officials alike have allowed a ‘thriving’ group of fighters to reside in the UK seemingly without consequence or disclosure of their previous activities until now. While initial reports attempted to craft a narrative focused on a a “lone wolf” attacker who organized and executed the blast himself, the nature of the improvised explosive device used and the details of the attack revealed what was certainly an operation carried out by someone who either acquired militant experience through direct contact with a terrorist organization, or was directed by a terrorist organization with extensive experience. Thus, the required experience for the recent Manchester attack exists in abundance within the community’s Libyan Islamic Fighting Group (LIFG) members. LIFG is in fact a proscribed terrorist group listed as such by the United Kingdom’s government in 2005, and still appears upon its list of “Proscribed terrorist groups or organisations,” found on the government’s own website. Libya’s militant governor of Tripoli, Abdel Hakim Belhadj, was also a part of the Mujahideen fighters closely linked to Bin Laden that became known as al-Qaeda, “returned to his home country [in 1995] as head of the Libyan Islamic Fighting Group, an underground paramilitary organisation dedicated to Gaddafi’s downfall.” Over the years, Belhadj was incarcerated and turned loose back into the field after being rendered by the CIA and British security services. So naturally when it was revealed that Ramadan Abedi, the father of the purported Manchester suicide bomber was also a member of the Libyan Islamic Fighting Group (LIFG) and was believed to have been a part of LIFG during the NATO-backed regime change operation in Libya in 2011 – it only raised more questions. It’s important to remember the chain of events following various global and terror operations. “The Obama administration secretly gave its blessing to arms shipments to Libyan rebels from Qatar last year, but American officials later grew alarmed as evidence grew that Qatar was turning some of the weapons over to Islamic militants, according to United States officials and foreign diplomats. So far there have been numerous arrests in the aftermath of the Manchester terror event, including Adedi’s brothers, Ismail Abedi and Hashem Abedi. 21 WIRE has documented over the years, many so-called shooting/terror/attacks that involve individuals being monitored by security services prior to an alleged act taking place. A place where a ‘lone wolf’ graduates into the ranks of a known wolf. In fact, very often those being watched by authorities exhibit all the tell-tale signs of a patsy or an informant, working either for a law enforcement or intelligence agency to potentially avoid jail time for previous criminal activity. Historically, government operators have often made use of low-life criminals, and mentally disturbed individuals to fulfill various role in entrapment stings or sometimes as bonafide actors in an actual attacks. In any case, alleged attackers and security agencies have a dicey relationship, making any link between them highly suspect in nature. “The Soufan Group, a New York think tank, said a better term for “lone wolves” would be “known wolves“, given how many are already known to Western intelligence agencies before they strike. In August of 2016, a hyper-propagandized war image of Omar Daqneesh went viral in the West, while the well-known radical preacher Anjem Choudary was ‘protected’ by MI5, despite being linked to major terror plots over the past decade. All in all, they were two narratives that reflected the ‘humanitarian’ and ‘radicalization’ guises of NATO’s international security syndicate that has masked the reality of the War On Terror era. “It’s worth noting that the contemptible cleric Choudary, now facing jail time for supporting ISIS, crossed paths with Abu Hamza, another radical preacher who subsequently ran the Finsbury Park mosque in North London – a known limited hangout for spooks, criminals and other informants. “The 7/7 attacks, the murder of fusilier Lee Rigby, the plot to blow up planes with liquid bombs and the plot to blow up the Ministry of Sound nightclub are among the 23 planned terrorist attacks that have been linked to one single radical group operating in the UK over the past two decades: al Muhajiroun. According to a new book by terrorism expert Raffaello Pantucci, al Muhajiroun, a banned network in the UK, has been linked to a number of plots and attacks carried out both in Britain and abroad since 2000. Shortly before London’s 7/7 bombings in 2005, Al-Muhajiroun’s Omar Bakri Mohammed (Anjem Choudary’s co-founder) was outed as an informant for MI5 after the Pulitzer Prize winning investigative reporter Ron Suskind spoke to a senior MI5 official. Bakri later ‘conceded’ the connection during an interview in Beirut, which was featured in Suskind’s controversial book, The Way of the World. “Bakri was regularly in touch with his deputy, Anjem Choudary, over the internet and even delivered online speeches to his followers in Britain instructing them to join IS and murder civilians. He has now been detained and charged by Lebanese authorities for establishing terror cells in the country. Interestingly, a UK think-tank called the Quilliam Foundation, that focuses on counter-extremism, has functioned alongside the MI5’s counter insurgent programs. Many critics of Quilliam have suggested the foundation has some controversial bedfellows, in addition to their close affiliation with the Council on Foreign Relations and their connection to the Henry Jackson Society which has been associated with other neoconservative think-tanks. There has been an uncanny number of attacks preceded by anti-terror/multi-agency fusion drills that theatrically act out violence before an attack. This was something that happened prior to the Brussels attacks of 2016 , as well as London’s 7/7 bombings in 2005. 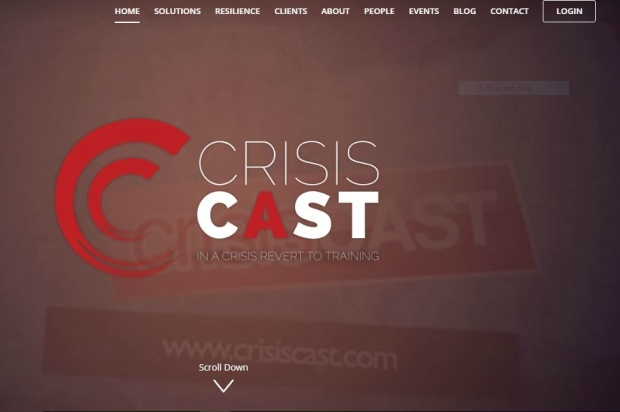 The heavily-stylized company CrisisCast, appears to be a revamped version of the Visionbox Crisis Actors project (a crisis actor production emerging after Sandy Hook), with a professional team of actors, elaborate film crews, expert producers and theatrical effects makeup squads mimicking real-life injuries (additional prosthetics) – all focused to deliver a simulated crisis-like reality to the public, later to be managed accordingly through their public relations division via various forms of social media. In CrisisCast‘s ‘about’ section we see a sophisticated amalgam of emergency protocol disaster training combined with “internationally credited film crews,” that bring their high-end stagecraft to life, through a collection of “role players, stunts, medical simulations and combat flashpoints,” cloaked in visual tricky, with film techniques out of the UK and Australia, so says the group’s website. Below is a road traffic collusion demo created by lead CrisisCast producer/founder Brian Mitchell (has worked on Hollywood studios and holds National security clearance) featured on Vimeo. The scenario is filmed from multiple angles, with quick cut editing that disorients, as we see an individual (crisis actor) in the aftermath of a crash – struck by the emotional weight of the scene – screaming out to a gaggle of onlookers after witnessing the staged carnage. The strange episode leaves one with a feeling of phantom trauma that continues to lurk. When examining the shocking claims of CIA operations, along with stories of British intelligence operatives colluding with the IRA in deep cover terrorist acts in Northern Ireland via the FRU, your reminded of the heavily orchestrated attacks that now occur globally. The Manchester attack appears to be similar to other high profile incidents which have all been used to distort public opinion in the wake of media styled mass-tragedies. Over the past 24-48 hours, authorities have released a CCTV imagery depicting the apparent Manchester attacker Abedi, which marks a ramp up of emotionally charged imagery used by media to dramatize the bombing, while continuing to obscure other facts and connections observed in the aftermath of the attack itself. Here at 21WIRE, we’ve discussed the recent political fallout concerning the latest WMD allegations out of Syria, as well as the heavily propagandized imagery brought to us by the US-UK and Gulf state backed White Helmets group that has been parroted by Western media without question. Just like the White Helmets western-oriented war propaganda imagery, whatever the public thinks of the Manchester terror event, it may serve as a sharp catalyst to initiate a more direct NATO intervention into the Syrian conflict sometime in the future.